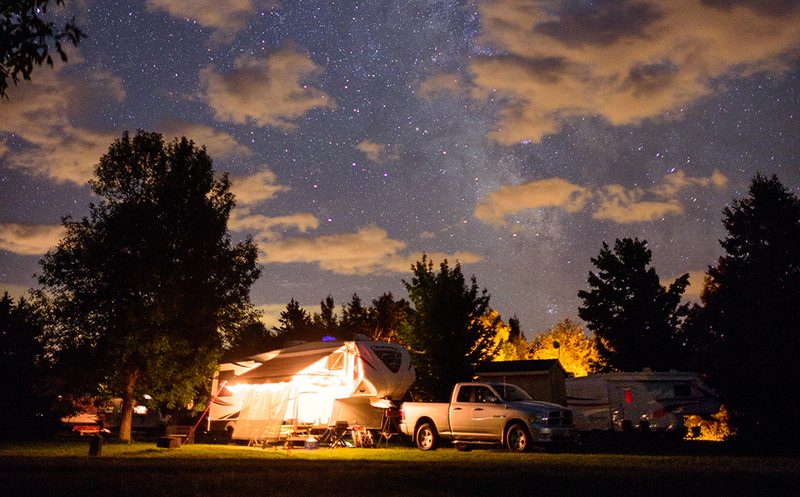 The camping season is finally upon us. Take a look at these great products before you head out to explore our great country. Our team here at RV Lifestyle agrees any of these are a must have! 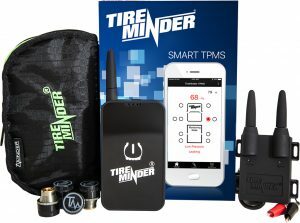 Tireminder presents their new TireMinder® Smart TPMS; the world’s first smartphone based tire pressure monitoring system (TPMS) for RVs. Tireminder’s new Smart TPMS can monitor both tire pressure and temperature on up to 22 tires. The system has a Bluetooth adapter, with both audible and visual alerts that will alert you even if your smartphone or tablet is off. A Rhino Signal Booster™ is also included, providing you with superior range and signal strength. The TireMinder Smart TPMS can be set up in minutes. This is a perfect system for everyone looking for the peace of mind that a TPMS an provide. Expanded, lots of room for keeping things cool! 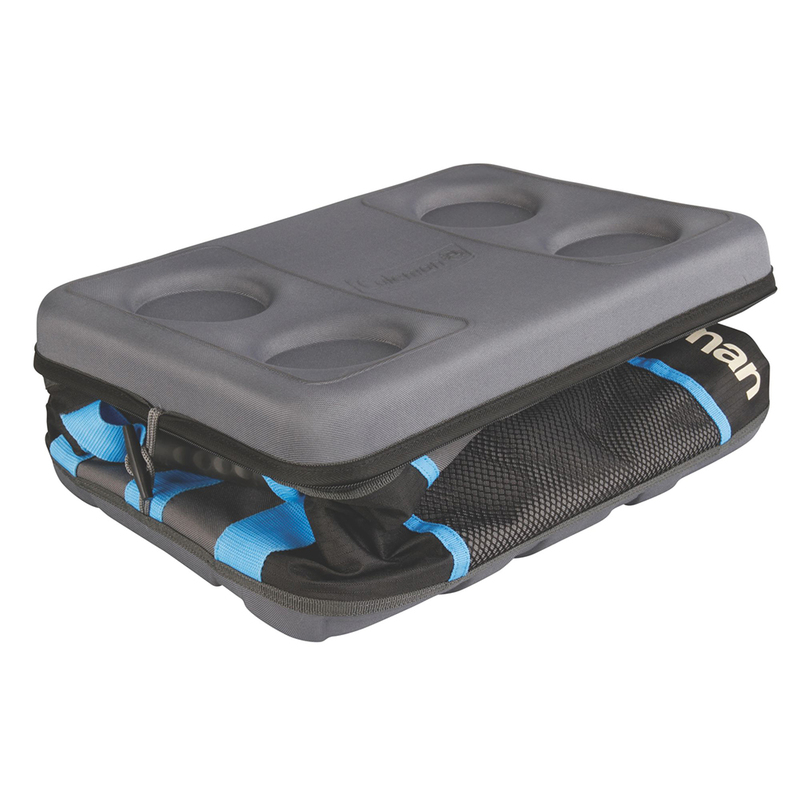 Collapsed, easy to store away when not in use. Measuring 20.5” W x 13” H x 13” D this large cooler from Coleman has enough space to hold a full day’s food and drink. 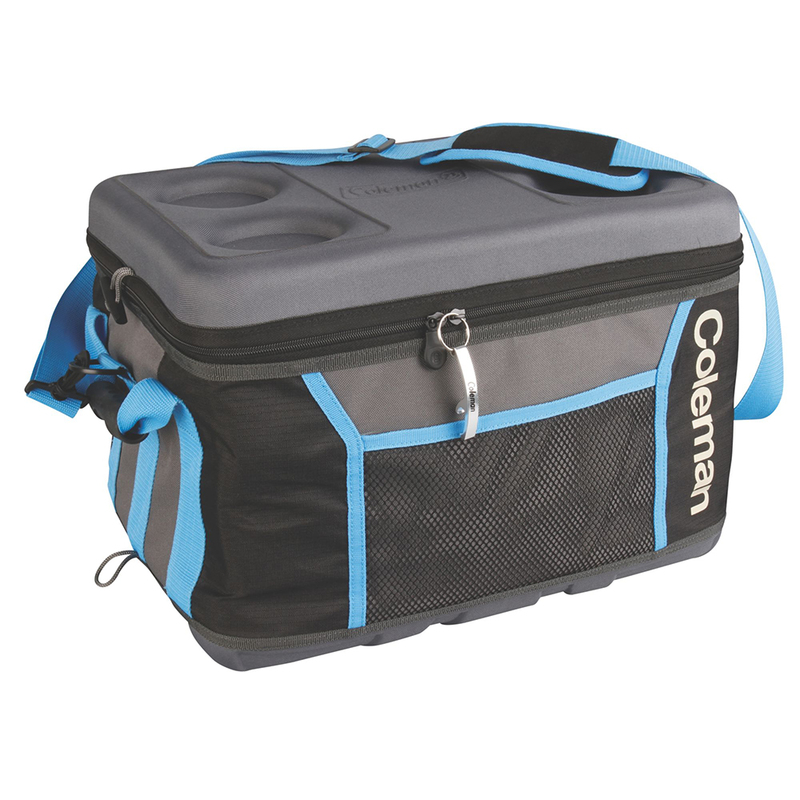 This cooler from Coleman is collapsible, flattening down to the thickness of a phone book. No need to worry about where you’re going to store the cooler! 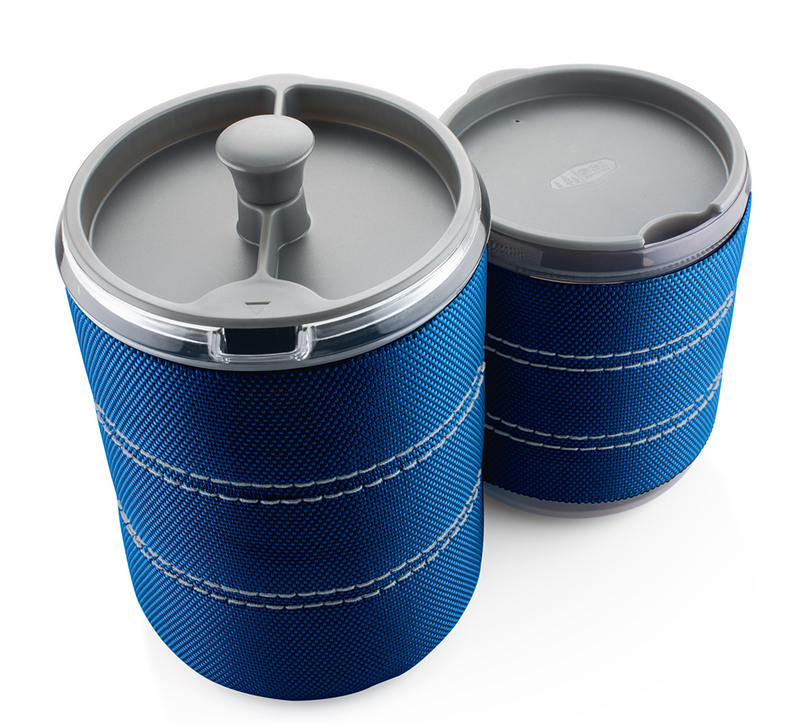 When the cooler is full, two large handles make for easy carrying, making this a perfect cooler for camping and trips to the beach. The zipper doubles as a bottle opener so you’ll never have to fumble around looking for one when trying to open your drink. Dry goods can be stored safely in the mesh pockets on the outside. Gourmet coffee at your campsite! “Roughing it” doesn’t need to apply to your coffee! Make your mornings that much better with this portable French Press from GSI Outdoors. Small enough and strong enough to be packed away in luggage, this French Press is a must have for the campsite. In little more than a few minutes you have gourmet coffee at your campsite. The press is insulated and makes two cups of coffee (or tea!) at one time. Once your coffee is brewed there’s no need to look for your favourite mug. This press has a sip-lid on top, enabling you to drink right out of it with ease. The press is able to completely come apart, making cleaning an easy task. OFF!’s Mosquito Lamp is an absolutely necessary item when heading out in to nature. Nothing ruins a relaxing evening by the campfire more than trying to ward off hundreds of mosquitos. 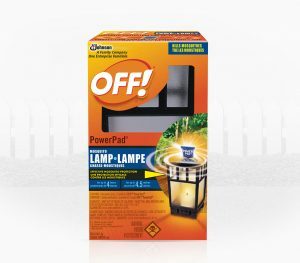 Light your OFF! 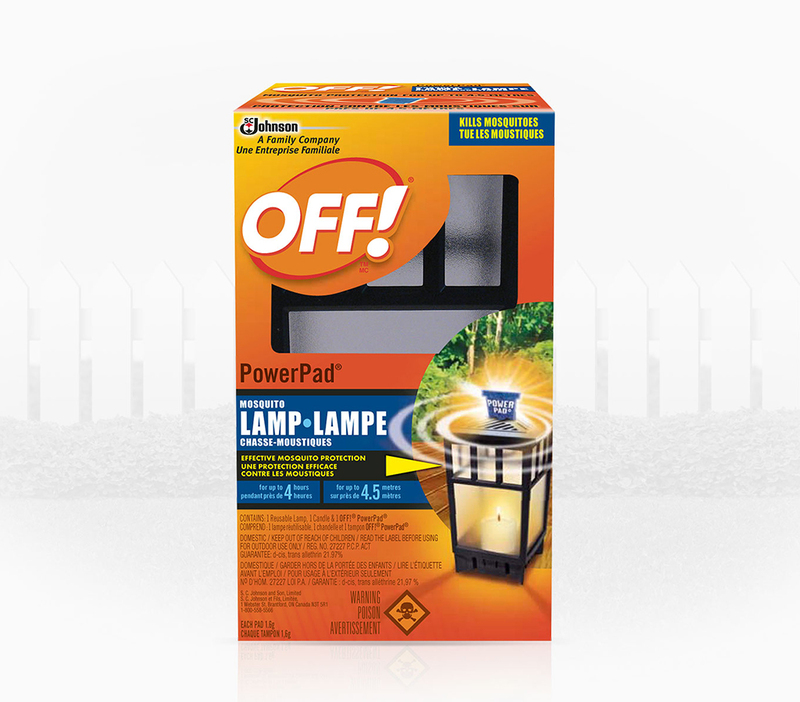 PowerPad Lantern and enjoy your mosquito-free relaxation! The lamp provides protection in an area of 4.5 meters for up to four hours. Each lamp comes with one PowerPad, and refills can be bought separately. Some campgrounds don’t have grills for their fire pits. For some people, there is no other way to cook outdoors than over the open flame. If your campsite has a fire-pit, this is a must have! Some campsites don’t provide them so bringing your own is a good idea. 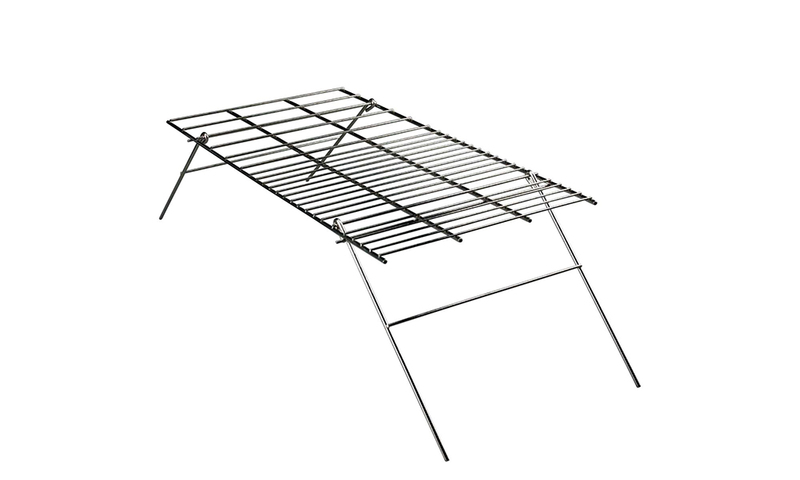 The grill has foldable legs, allowing it to stand over the flames or lay flat on top of the fire. The folding legs mean this grill from Coleman folds flat for storage taking up less room than a traditional gas camping stove. The minimal design means that it is easy to clean as well. The ETON radio is rugged and durable, ready for any adventure. Looking for a camping radio? Look no Further. 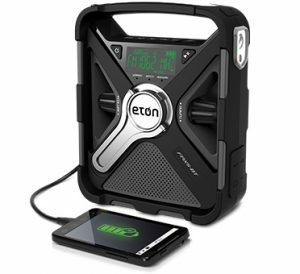 This offering from Elton is a rugged, all-purpose radio that’s great for the campsite. The FRX5 is waterproof, so no rain, sleet or snow will damage this unit. The radio can be powered by four separate sources: solar panel, hand crank, built-in rechargeable battery or traditional batteries. The solar panel charges the radio in 5-6 Hours. This radio also features a USB port, capable of charging most smartphones and tablets. The FRX5 can receive emergency weather alerts, so you can know of any harsh weather coming your way. Tune in to AM/FM radio or attach an aux cord and play your own tunes! This radio does it all! Portable, compact, no gas or charcoal to deal with and great taste. What more could you want? 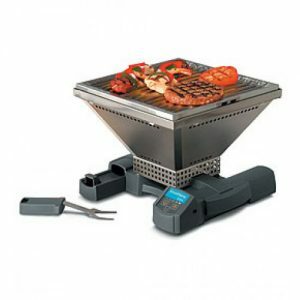 This small portable BBQ is absolutely perfect for camping and RVing. Weighing in at 10 lbs. and 9 3/8” H x 11” W x 12” D the Gusto is a compact power-plant. Don’t let its size fool you though! This BBQ as a 62,500 BTU output! Compare that to traditional BBQ output of up to 12,000. The company says the Gusto is up to cooking temperature in two minutes and can boil water in a matter of minutes. Nine cooking temperatures are available on this wood burning BBQ. Powered by either 110V adaptor, 6V Adaptor (cigarette lighter) or Four D Batteries means there’s no gas or propane to deal with! Enjoy the taste of food cooked over a wood flame!